A little while back, I mentioned that when I flew out to my ski vacation before New Year's, the Butter London salon was right across from my connecting gate in Seattle. I did not have to look for it on the airport directory or go out of my way to find it, just went to my gate and there it was. They had a whole wall of polish for sale, complete with testers. I eventually decided on four colors to take home with me: All Hail The Queen, Marrow, Victoriana, and Henley Regatta. Rather than jam all these colors into one entry as is my usual style (I sometimes think my personal motto should be "more is always better"), I'm going to give each its own day, turning this into Butter London week around here. Look for All Hail McQueen tomorrow. Those bottles look huge on that wall! great choices! you are gonna love them! Omg, you bought like every Butter London polish that I want. Four very classy colours. Mind you, BL only DO classy colours. Wow! That looks awesome; I wish I was there cause that's more Butter London's than I've ever seen in one place. I love the colors you go, btw! Ohh that looks awesome! 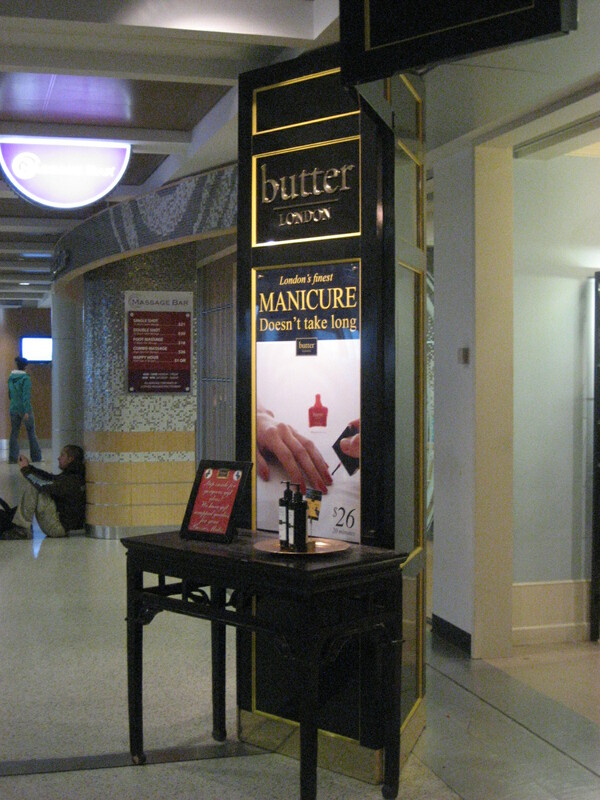 I need to check out what airports have Butter London salons next time I travel! Great choices! Try HR over black. Soooo pretty! Can't wait for the mani's! 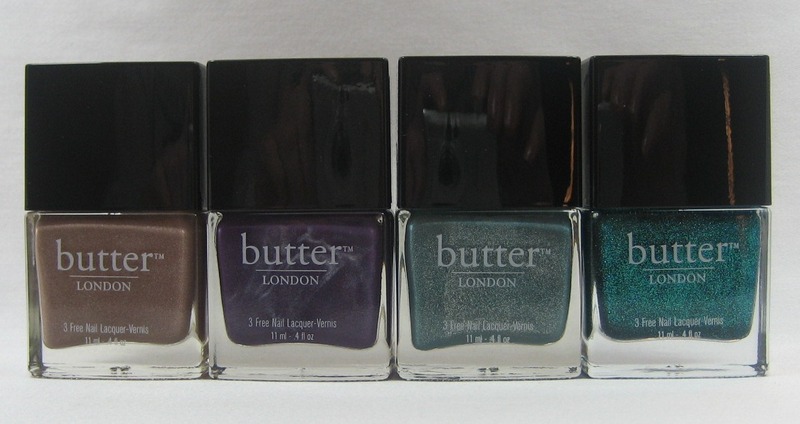 Butter London always looks so pretty :). I would love to see that in person!!! Here in Brazil is not so glazes! Elizabeth, it was C-something; just around the corner from the central area that has the food court.